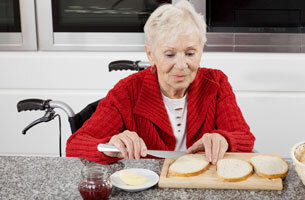 When you live in an assisted living facility, it is important to uphold as much independence as possible. The staff members in the facility are there to provide assistance while helping you to find self-directed activities and care tasks that you are capable of doing so as not to impose and decrease your own abilities. Along with finding out what you can do, these are some other ways you can maintain your independence. Home – In an assisted living facility, you get the chance to personalize your space. This includes putting pictures or art up on your walls, rugs on the floor, your own furniture, and more. This is your home, and it should feel like it. Dining – At assisted living facilities, cooking is taken care of for you. There are nutritional and healthy choices and a variety of selections to help you make some decisions depending on what appeals to you at the time. Social Life – A great way to maintain your independence is to keep up with your social life. There are a variety of activities going on in assisted living communities from health and fitness to movie and game nights which give you plenty of opportunities to meet and interact with new people. Transportation – Instead of having to rely on family members or someone you know for rides to and from your daily activities, assisted living communities offer transportation. If you need to get to or from a doctor’s appointment or quick local errand, you will be able to receive a ride from a staff member. Cost – Pricing can have an impact on your lifestyle. Some assisted living communities will charge based on the level of care required, which can cause some residents to be reluctant to ask for help. Be sure to check with the facility to ensure that all costs are covered in the monthly fees, and there will be no surprise costs. Wyndemere Woods takes pride in treating each resident like a member of the family. We offer meals, activities, programs and more to help seniors enjoy themselves and socialize with other residents. Our goal is to provide as much independence as possible, while lending a helping hand and offering aid and care as needed.